Nickelodeon is expanding its moves into the areas of virtual worlds and games with the formation of two separate divisions, the company announced today. The Nickelodeon Kids and Family Games Group includes all of its gaming initiatives, both paid and subscription, for online, PC, handheld and console, and will be led by senior VP and GM Dave Williams. It also includes Nickelodeon's Addicting Games and Shockwave sites, for which the company recently promised 1,600 new casual games in 2008. The company will be seeking new game developer and publisher partnerships under this division. The virtual worlds group, which includes the company's Nicktropolis and Neopets online worlds for kids, will be led by Neopets SVP Kyra Reppen to support its kids and family-friendly online worlds efforts and casual MMOs. Nickelodeon has several virtual worlds in the works based on Nickelodeon IP as well as existing properties. NEW YORK-June 17, 2008-To provide its audiences with more innovative gaming and virtual world experiences, Nickelodeon Kids and Family Group has formed new Games and Virtual Worlds Groups. Dave Williams will run the Games Group and Kyra Reppen will lead the Virtual Worlds Group, both under the title of Senior Vice President (SVP) and General Manager (GM). The announcements were made by Steve Youngwood, Executive Vice President, Digital Media, to whom Williams and Reppen report. "With these two dedicated teams, our new gaming and virtual world divisions will further enable us to create even more relevant content and foster innovation in the virtual world and gaming spaces," said Youngwood. "Dave and Kyra have built great momentum in their respective areas, and will provide more engaging experiences for our audiences in their expanded leadership roles." The Nickelodeon Kids and Family Games Group will encompass all paid and subscription gaming initiatives across all relevant platforms including: online and CD-ROM games; handheld and console games; and will include the company's dedicated casual games sites, Shockwave (http://www.shockwave.com) and AddictingGames (http://www.addictinggames.com). It will focus on the creation of games for the entire family around existing and new properties. The company recently announced it would add 1,600 new games in 2008 to its library of 5,000 games and an investment of $100 million in the casual games space. The Virtual Worlds Group will manage all company virtual world initiatives for kids, tweens, teens and families, including the original youth-oriented virtual community of Neopets (http://www.neopets.com), Nickelodeon's online playground for kids, Nicktropolis (http://www.nicktropolis.com) – in partnership with the Nick.com team – and new virtual world destinations. The group will focus on the innovation of the company's existing worlds with projects like World of Neopia (working title) and of the expansion of Nicktropolis with a premium layer. It will also develop original properties like the recently announced Monkey World. Williams, based in San Francisco, will expand the company's subscription game services, licensing and self-publishing businesses. He will grow offerings like the educational online gaming site myNOGGIN.com and Shockwave's established subscription services, as well as develop new ones. Williams will also work in partnership with Nickelodeon's Consumer Products division to increase the company's retail games business around hit franchises like SpongeBob SquarePants and iCarly and newer, original properties like Shockwave's Carrie the Caregiver. Another area of focus for Williams will be securing new partnerships with game developers and publishers. In addition to his new responsibilities, Williams will continue to manage Shockwave and AddictingGames and plans to add more community features and new offerings to each to make them the preeminent social gaming sites. Under Williams' guidance, AddictingGames has become the number-one independent gaming site for teens since February 2007, growing its library to more than 3,000 games. Shockwave, the original casual gaming site, has also flourished by focusing on family play and will add over 400 titles this year, including over 100 exclusive self published titles. Following Atom Entertainment's acquisition by MTV Networks in late 2006, Williams–formerly Atom's Chief Marketing Officer and GM–was named to SVP, AddictingGames and Shockwave. Before Atom Entertainment and MTV Networks, Williams led the design and development of Rhapsody's music service as Vice President of product management at Listen.com, was GM of music product management at Real Networks, and held senior product and marketing roles at CitySearch and DoubleClick. Reppen, as the head of the Nickelodeon Kids and Family Virtual Worlds Group, based in Los Angeles, will spearhead the strategy, creative development and management of new and existing virtual worlds and casual massive multiplayer online games (MMOGs) for the company. These new virtual worlds will be based both on original concepts and existing properties. In addition to her new responsibilities, Reppen will continue to manage Neopets. She will be responsible for evolving and innovating upon that site and will be responsible for expanding Nicktropolis, which will continue to add new environments to the site in the U.S. and launch a regionalized site in the U.K. over the next few months. Over the past two years, since becoming the SVP and GM of Neopets, Reppen has grown Neopets to a registered user base of 45 million, maintaining its stickiness and status as the number-one tween virtual world in time spent, increasing its average per user to more than two hours and 20 minutes, according to comScore. She has expanded upon the site's business model with its first major mass retail launch, converging the web experience with a consumer products line, and paid item sales. Reppen has also integrated the site into the Nickelodeon Kids and Family Group by developing mini-Neopets shorts for Nickelodeon and cross-platform marketing events such as Altador Cup. She completely redesigned the site incorporating user generated content, a video player, pet customization and much more. Reppen previously helmed NickJr.com as Vice President and GM, and was the creator and architect behind the ParentsConnect brand. She repositioned Nickjr.com from a television promotional site to the number-one website for parents of young children. Reppen also created and launched Nick Jr. Parents TV, the broadband video service for parents; spearheaded the educational site development of myNOGGIN; produced the first-ever 3D online games for preschoolers; and led the networks' preschool introduction to wireless and interactive TV experiences. She began her career at Viacom in MTV Networks Law and Business Affairs and worked as a corporate associate in several law firms beforehand. The Nickelodeon Kids and Family Group portfolio of digital sites which serve kids, tweens, teens, and parents, focus on the activities that its audiences participate in most online: gaming, socialization and community, and video. According to comScore (May 2008), Nickelodeon Kids and Family digital ranks as the number-one kids and family online destination in visits with more than 27.2 million unique visitors. MTV Networks currently boasts 11 deeply engaging virtual world experiences that reflect its audiences' favorite online activities, on-air franchises or personal interests, and include MTV's Emmy-winning Virtual Laguna Beach and Neopets, the largest global youth-focused virtual world, among others. Nickelodeon, now in its 29th year, is the number-one entertainment brand for kids. It has built a diverse, global business by putting kids first in everything it does. The company includes television programming and production in the United States and around the world, plus consumer products, online, recreation, books, magazines and feature films. Nickelodeon's U.S. television network is seen in more than 96 million households and has been the number-one-rated basic cable network for more than 13 consecutive years. 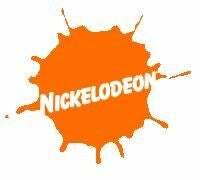 Nickelodeon and all related titles, characters and logos are trademarks of Viacom Inc. (NYSE: VIA, VIA.B).